For use with power boats up to 39 ft (12 m). 2 nm visibility. Polycarbonate housing with stainless s..
SERIES 20Powerboats up to 39 feet (12 meters). Rigid polycarbonate construction housing. Sidelight v..
SERIES 20Visibility is 2 nautical miles. 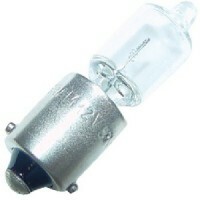 12V, 5 watt bulb included. 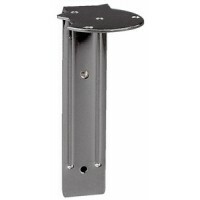 Transom Mount Type: Stern, Trans.. Meets USCG (A-16) 2 nm visibility requirement for powerboats up to 65' (20 meters). Black housing. 1..
USCG approved for power & sailboats up to 39' (12 meters). 2 nautical mile visibility for masthead l..
USCG approved for power & sailboats up to 39' (12 meters). 1 nautical mile visibility. 12V/10 watt. ..
USCG approved for power & sailboats up to 39' (12 meters). 2 Nautical mile visibility. 12V/10 watt. ..
USCG approved for vessels up to 65' (20 m). 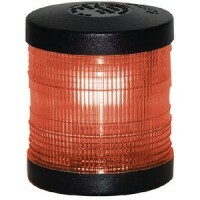 2 nautical mile visibility.Non-magnetic and saltwater re..
USCG approved for vessels up to 65' (20 m). Non-magnetic and saltwater resistant. Black housing. Bul..
USCG approved for vessels up to 65' (20 m)3 nautical mile visibility.Non-magnetic and saltwater resi..
USCG approved for vessels up to 65' (20 m).2 nautical mile visibilityNon-magnetic and saltwater resi..
USCG approved for vessels up to 65' (20 m). 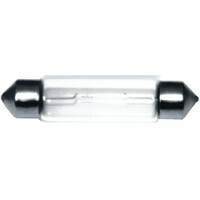 2 nautical mile visibilityNon-magnetic and saltwater res..
As 25w/12vdc bayonet bulb Visibility: Replacement bayonet bulb 12V/25WType: Height: ..
Bulb 12v 20w for #3106012 Type: Bulb- 20W bayonet halogenLens: 1Height: ..
Ser. 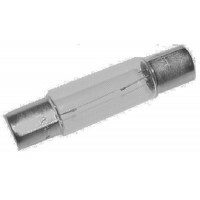 25 bulb new style 12v pr Type: Replacement Bulb- 10W Festoon, Pair (New style)Lens: .. 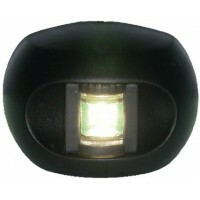 Stainless steel flip-up bi-color navigation light. Rugged construction and easy installation. This l..
USCG certified for vessels up to 65' (20 m). 2 nautical mile visibility. Completely sealed and water..
Use on Power or Sail vessels up to 65', 2 mile visibility. ABYC, USCG, IMO, RINA certified. Operates.. Designed for boats that are manually powered or with speeds up to 7 knots. 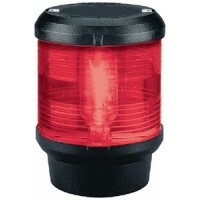 Equipped with LED diode f..
Use on Power or Sail vessels up to 65', 2 mile visibility. 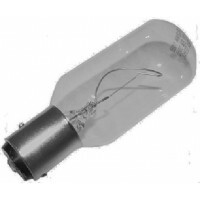 Operates on either 12 or 24 volt system w..
Bulb 12v 10w ser 40/41/50 Visibility: Replacement bayonet bulb 12V/10WType: Height: ..
10w spare bulb -pair Type: Bulb- 10W Festoon (old style)Lens: 2Height: ..
Series 22 & 24 bulb Lens: Spare BulbHeight: ..
Rectangular plug-in base Description: Plug-in base, black..
Plug in base stainless Description: Stainless Steel/3 hole mount.. Vessels up to 39' (12 meters). Visibility is 1 nm. Compact design fits most boats. 2-1/4" dia., 1-5/..
For Sail, Sail/Power vessels up to 65' (20 meters). The Aqua Signal Quicfits system allows easy dism.. Meets USCG (A-16) 2 NM visibility requirement for powerboats up to 65' (20 meters). 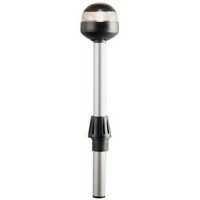 Angled pole, bla..
Bi-color light for powerboats up to 39 feet (12 meters). Rigid polycarbonate housing. Visibility is ..
Total fit 24 a/r plug-in pole Description: 24"Height: ..
Total fit 48 a/r plug-in pole Description: 48"Height: ..
60in pole light Description: 60"Height: .. 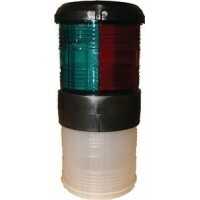 Unique combination of bi-color pole light with signal horn all in one. Bi-Color meets USCG 1 mile re.. Vessels up to 39' (12 meters). Visibility is 1 nm. Compact design fits most boats. Stainless steel c.. Meets USCG requirements for vessels up to 39' (12m). 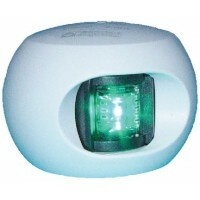 Includes a LED task light for use for night vis.. Vessels up to 39' (12 meters). Visibility is 2 nm. Compact design fits most boats. 2-1/4" dia., 1-5/.. Meets USCG requirements for vessels up to 65' (20 m). 2 nautical mile visibility. 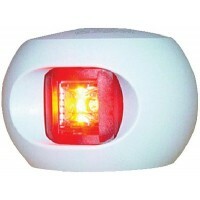 Tell-tale indicato..
Series 24 Tell-Tale indicator light gives the operator a visual indication of the light status. Stai..
Masthead starboard brkt ser 40 Size: 6"Type: StarboardMaterial: Stainless Steel.. 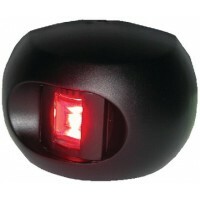 Led port side mount black Type: PortHousing: BlackLens: Red.. 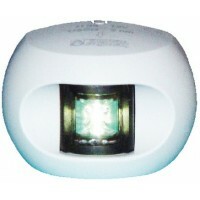 Led port side mount white Type: PortHousing: WhiteLens: Red.. 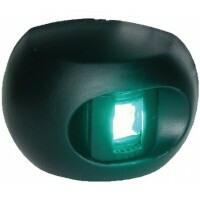 Led starboard side mount black Type: StarboardHousing: BlackLens: Green..